IBL-hydronic develops and delivers complete CAN based electronical/electrical and hydraulic control systems and components. Among our own products we select the most suitable components for your application so we achieve an optimal customized control system. 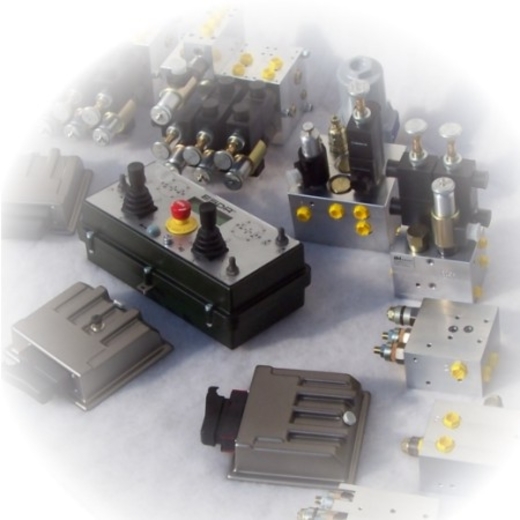 We project also control systems for series production devices with several expansion stages. Here we strive to use as much identic units as possible. Due to our long lasting extensive experience and the knowledge of our engineers and technicans we consistently succeed in production high quality, development of intelligent solutions as well as in use our long lasting business relations to mutual advantage. If necessary and advantageous we develop costumized units for your application. For parameterization of your system we give you a professional windows-tool to your hand, that can be costumized to your special requirements. Please discuss with us your application and we will find a solution together.